Soooooo..rather than do a review post, I will post my Revlon haul first, xixixi. 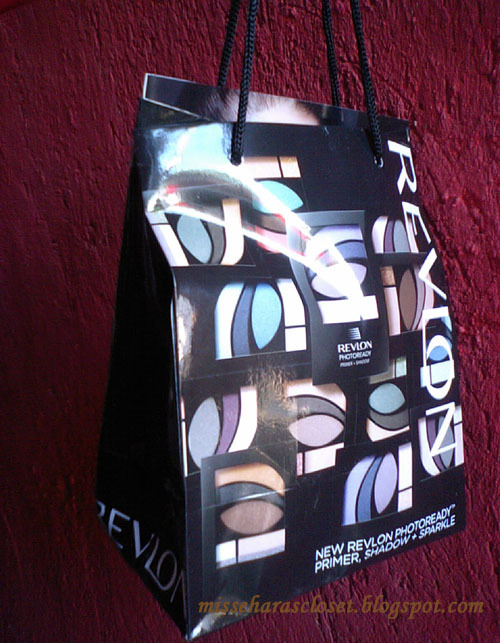 This is my Revlon gift haul...still on the bag..waiting to open! 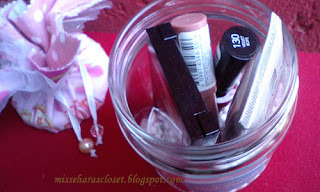 Are you curious what is inside my bag?? And....hey there's a cute jar inside my bag! Ooooh....this is a very cute & lovely jar <3 Its like get a b'day present from my best friends! 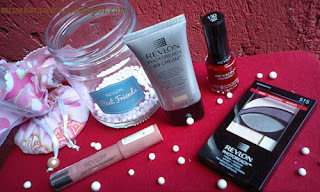 This is what I got..Revlon Photoready BB Cream, Just bitten kissable balm stain, Colorstay Nail Enamel, & PhotoReady Primer, Shadow + Sparkle. 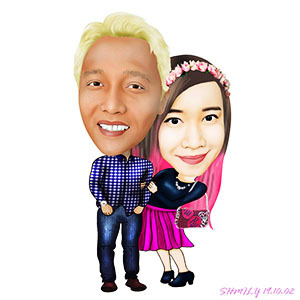 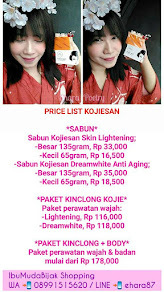 All is new product! 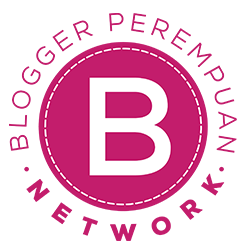 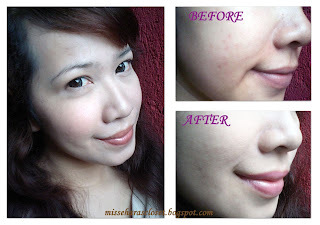 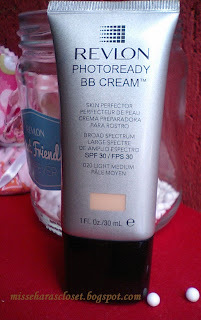 [UPDATE] Check my review about Revlon Photoready BB Cream HERE. 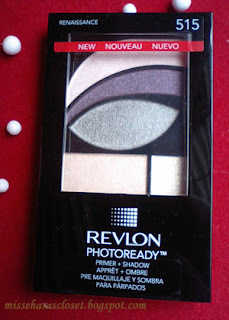 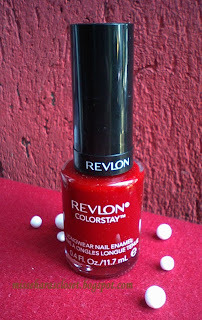 Revlon Photoready Primer, Shadow + Sparkle.. 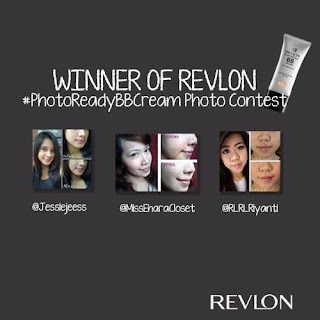 This gift haul is my prize from Revlon because I win Revlon #PhotoReadyBBCream photo contest on twitter REVLON Indonesia. Im so excited because this is my first time join photo contest like this. 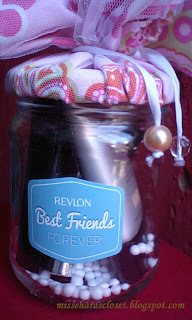 I closed this weekend with a BIG smile! 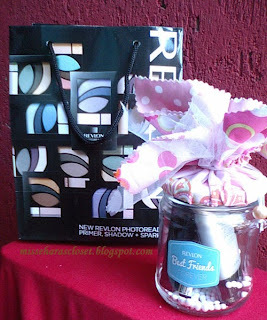 Now I have a lots of beauty product I can try, do a review & do some experiment with it,,,,hahaha. I feel really excited, like a little girl got a new doll to play with! 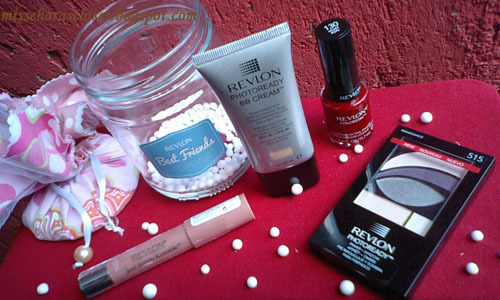 What do you think about my Revlon Gift Haul??? 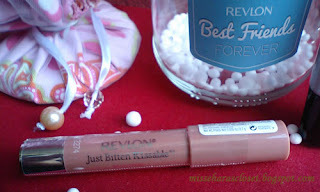 The products looks really nie! It is really a nice gift!